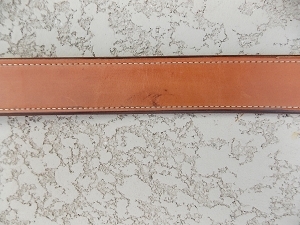 This belt is perfect for a small woman or child as it will fit a 27" pants waist size. It is natural color, lined and stamped with the acorn pattern and is 1 1/2" tapered to 3/4". 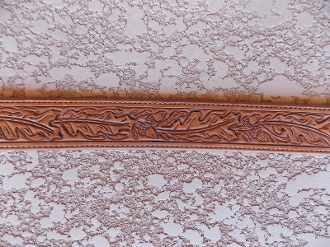 It would look great with any of our 3/4" silver buckle sets.